Ben and Jerry would be proud. We’ve been saving the milk and eggs from Stonewall Farms to make our own homemade ice cream. I got some local heavy cream from Ronnybrook. And, boy was it delicious. After much negotiation, Camille and I settled on making two flavors: spearmint sweetened with honey as well as honey vanilla ice cream. First, we made the cream/milk base. Then, we used all local ingredients (except the vanilla bean of course) to flavor the base. Our homemade concoctions spent the day in the refrigerator before we churned up our own creamy slice of heaven. We served it immediately right after dinner. Even Henry, who never eats dessert much less ice cream went WILD for the hand-picked spearmint. In a saucepan, combine the cream, a pinch of salt, honey and chopped mint leaves and bring the milk and cream to a boil – be careful not to boil over. Then, remove saucepan from heat and let the mixture sit for 30 minutes to allow the spearmint to steep and infuse the fresh herbal flavor. Use a fine sieve and strain to remove any bits of spearmint leaves and lumps from the cooked milk/cream. Return mixture to the saucepan and cover while steeping. Same recipe as above except substitute vanilla beans for spearmint. Use one whole vanilla bean, cut open the bean to scrape the seeds and liquor out of the pod and add including the remainder of the whole pod to the mixture (you can throw out pod after the vanilla has been infused into the hot milk/cream mixture for 30 minutes). You don’t need a bulky or expensive ice cream maker. 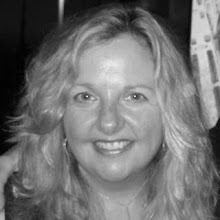 I use a 1-quart Donvier Ice Cream Maker, which is an extremely reliable and well-rated ice cream maker. 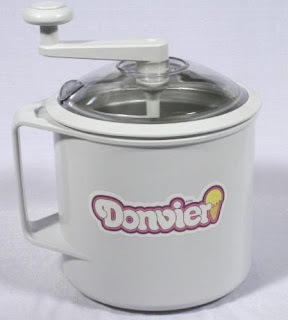 The Donvier is a canister ice cream maker and requires no salt, ice or electricity are required (the canister is stored in the freezer) and costs about $50.